Ellise Chappell was back on the red carpet for the TV BAFTA nominees’ party held at the Mondrian London on Thursday (April 19). 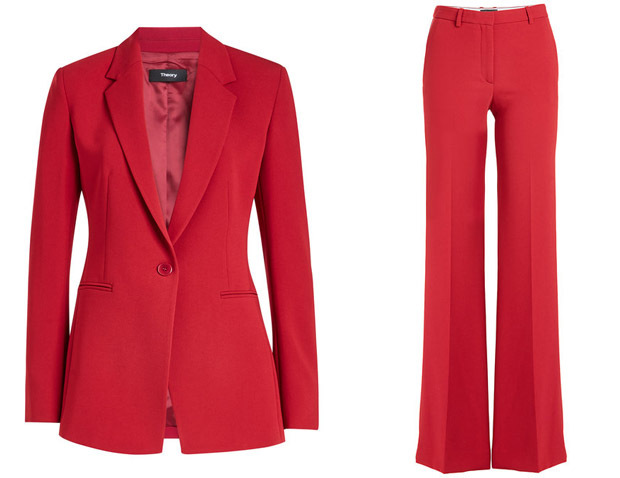 The ‘Poldark’ actress wore a lava-red Theory suit which appears to have been influenced by Savile Row tailoring. It’s beautifully cut in a long, lean shape, sharpened by structured shoulders and notch lapels. The sophistication extended to her accessories which included black Louboutin pumps and a deeper red Arran Frances bag.